Description: Have you ever imagined a mermaid kitty? What should it look like? Have fun making your own adorable fantasy pet. Play with the combinations of different type of body shapes, colors, tails, hairstyles and mix and match the perfect accessories. 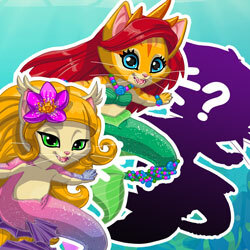 Create the most beautiful mermaid kitty!